Welcome to Herpetology.cz! We are a group of naturalists, focused on reptiles and amphibians. In addition to research and photography of local (CZ) and world herpetofauna, for which we have conducted various expeditions and trips, we also keep those creatures at home. You can ask us any question regarding the wild or kept reptiles and amphibians. I´ve loved animals, especially reptiles and amphibians since I was a little child. After the high school, I knew that if I want to work with those creatures, I need to study on. So I decided to go to Czech University of Life Science, Prague to study the field called Special Breeding, focused on keeping and breeding of domestic and exotic animals. It was there, where I met Petr and Tomas and we have created our webpages – Herpetology.cz (year 2012). After graduation, I went to study another field on different faculty – Wildlife Management, focused on keeping and protection of animals. Thanks to this study I went to Brazil and was able to observe lot of interesting species of frog, snakes and lizards. I was alone on this faculty, who was interested in such creatures, so again, after graduation I once more changed the faculty and now I am studying for Ph.D. on the department of Ecology, Faculty of Environmental Sciences. 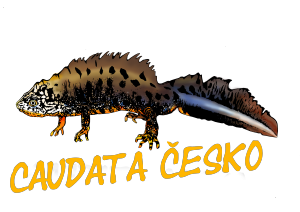 I am know doing research on the genetic structure and ecology of the Fire salamander populations in Prague. Which animals I keep: Lot of tailed amphibians, frogs, mexican kingsnake and african plated lizards. Herpetology is more than a hobby for me. My family has led me to observing and learning the nature, especially reptiles and amphibians. I have inherited a successful breeding of tortoises and I hope to pass them to my children one day. I love to observe, learn, build terrariums and to pass the information further. I love all the living around me, but reptiles and amphibians are special thanks to their way of living. Since I was a little child, I´ve been catching earthworms, frogs and all the other “vermin” whatever I found. After the high school, I went to Czech University of Life Sciences, where I met my friends. My interests are keeping of spiders, lizards and ampibians and also taking pictures of wild animals in the natural conditions, which is connected with travelling acros our beautiful country and the rest of the world.